I am a busy on the go mom. The NorthShore Premium Quilted Changing Pads are a staple item in my daughters diaper bag. They are waterproof and protect her body from whatever surface I need to place her on for a quick diaper change. 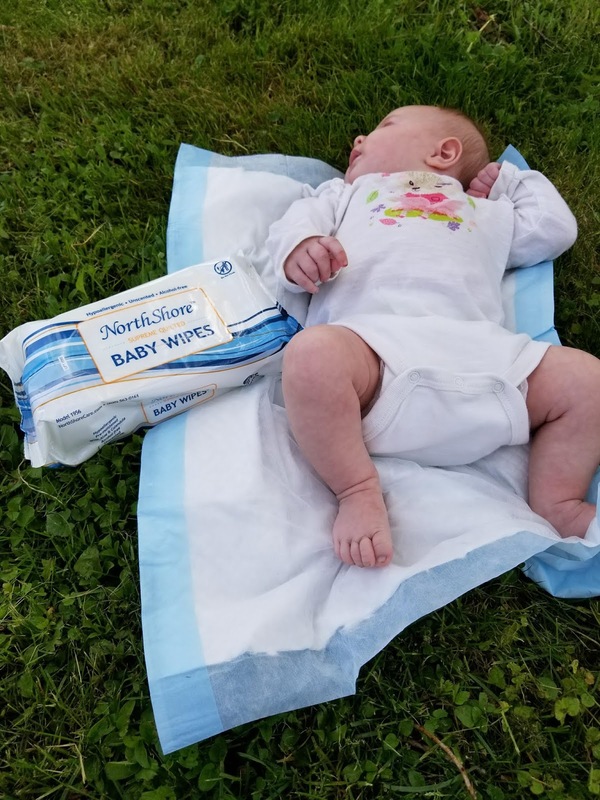 Recently we were at the park and I realized that her changing pad was not put back in her diaper bag. Lucky for us I had put one of the disposable changing pads in her bag. I love that they are waterproof as I needed to place her on some damp grass. 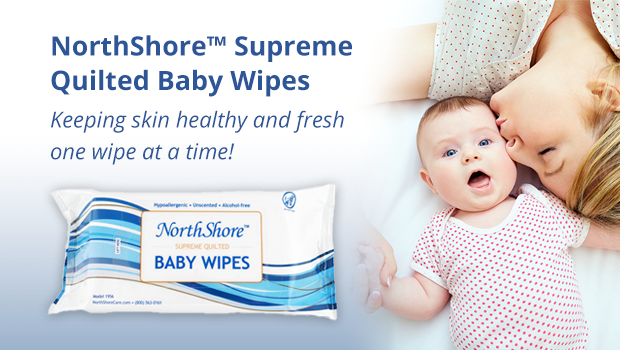 The NorthShore Quilted Baby Wipes are a go to item for me. They are slightly thicker with the quilted texture then regular wipes and makes it convenient for some of the messier diapers clean ups. 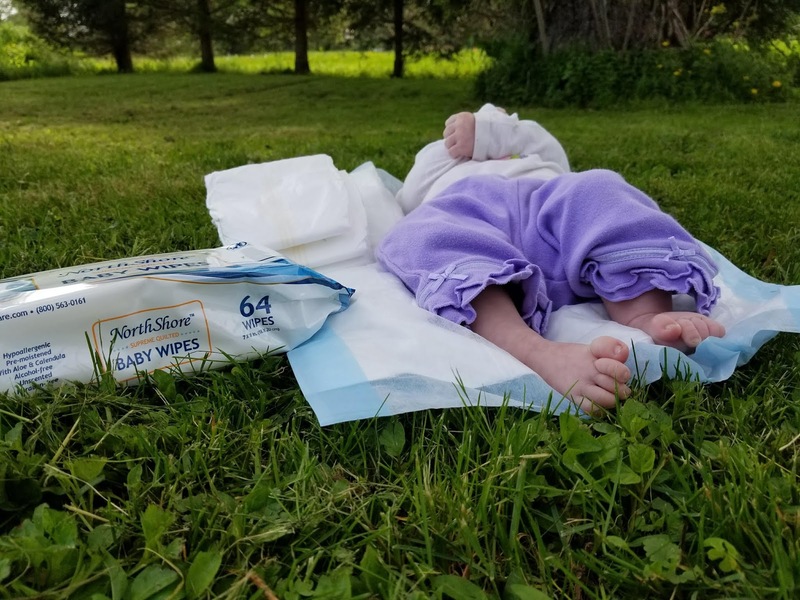 My daughter is not a fan of how the grass feels against her skin. After her diaper change she enjoyed hanging out on this pad for awhile before wanting to get up and continue the rest of our walk. This company also has adult pads, under pads, diapers and personal care items as well as additional youth items. Orders can be placed online at northshorecare.com and you can set up auto ship for each month or choose the number of weeks between each shipment. As a mom on the go having changing pads, diapers, and wipes auto shipped to me each month will be one less thing I need to remember to do. This looks soooo convenient! Great post! !